Hello, my name is Leanne Aspen and I have been facilitating FASD Awareness presentations for 4 years. When presenting to front line workers, such as yourself, I constantly get requests for strategies to help children, youth or adults overcome barriers that are preventing them from enjoying daily life. While we all attend out of town training courses and conferences to learn how to do our jobs better, I think we should acknowledge the expertise of the front line staff who work with challenged individuals in our own community. Therefore, I decided to start up this monthly information session which focuses on all disability groups. Each session will have two presentations from front line workers showcasing their strategy or startegies. When presenting your strategy, you showcase your organization and services you provide. Describe or demonstrate a technique, theory, or process that has been successful. It is not mandatory for one staff member to attend. You can send different staff members each time to learn successful strategies. You can share these proven successful strategies with co-workers, supervisors, managers during your organizational meetings. Our admin worker will get a copy of the strategy to hand out or email to every person who attends that particular session. Bottom line is that this can be a great networking opportunity for both seasoned and new staff members in your organization. Learn about other organizations’ who may be working with your client group on a regular basis. The sessions will not just focus on behavioural issues, but on socializing techniques, food preparation, life skills, personal hygiene, employment strategies etc. Any successful strategy can be described and shared, no matter how insignificant it may seem to you. Remember the majority of the people attending will be front line workers, whose job it is to spend a lot of mentoring time with their clients. Each presented strategy is about 20 to 30 minutes long, including describing your organization and role. This is going to be a very informal session, you do not need to have experience facilitating, or have a power point presentation, a hand out is just fine. Sharing your successful strategy to benefit other workers and the people they serve is all that matters. Sessions dates: Thursday Nov. 14, 3 - 4:30pm, Thursday December 14, 3 - 4:30pm. All sessions will be at Muskoseepee Park Pavilion. Your participation in this monthly learning event is very much appreciated and I know it will be beneficial to the people who attend. We currently have all presentation spots filled, however are looking for presenters for the next year. 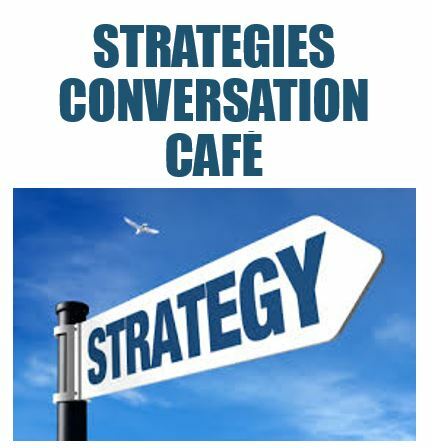 If you are interested, to book a spot to showcase your strategy and organization or to book a seat for your staff to attend a session, please contact Leanne at 587-298-3480. Thank you.